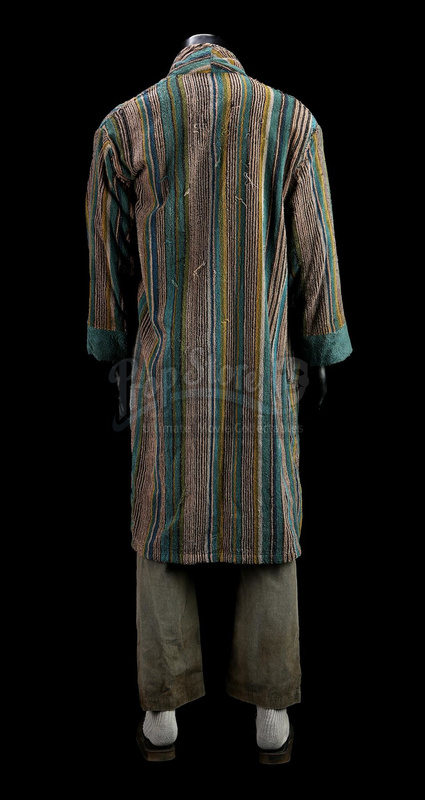 Mort Rainey's (Johnny Depp) costume from David Koepp's thriller Secret Window. 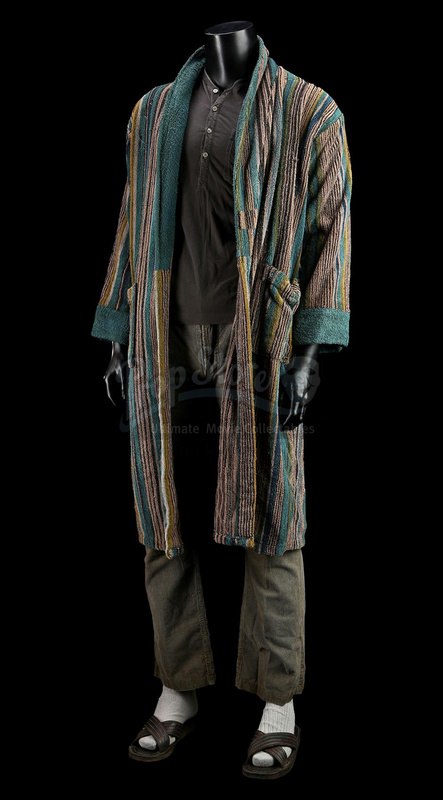 Mort wore his bathrobe and light grey trousers regularly throughout the film, and paired them with a grey Henley shirt when he received the news that his house has burned down. 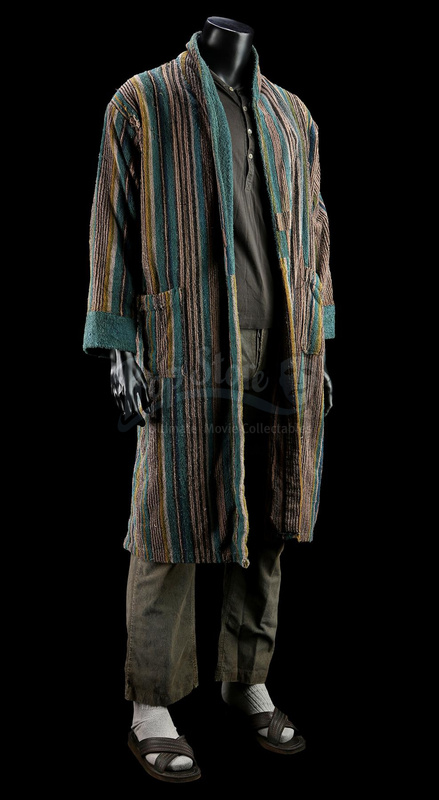 The bathrobe is made of multi-coloured material which forms pinstripes of varying colour and thickness. 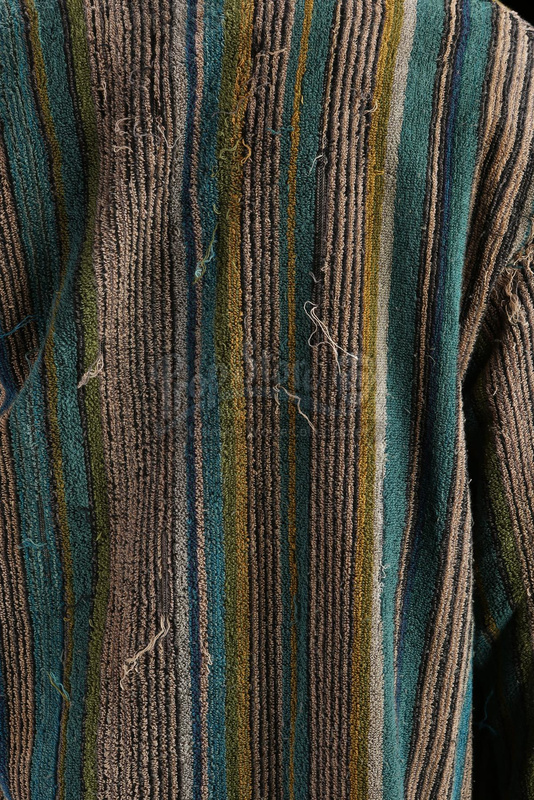 The robe has been heavily distressed by production to appear well-worn; most obviously in the two large holes on the right shoulder and a broken sash loop. The grey Henley shirt is made by Inditex and is 100% cotton, featuring a breast pocket and four buttons along the front. The light grey trousers feature a checked pattern and on the inside are marked '2' in blue ink and 'CHRONOS 64' in black. A pair of light grey socks and brown leather-and-rubber sandals complete the lot. 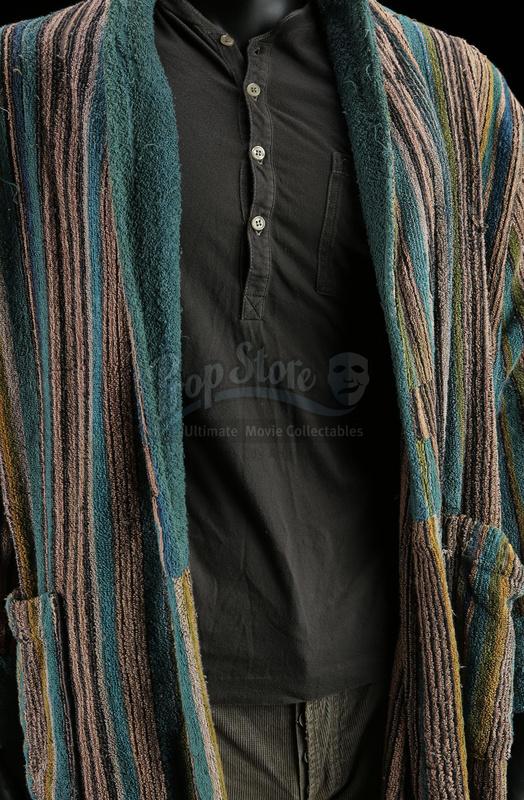 The articles show light wear and production distressing, but remain in good condition.